Octopus limits the number of tasks it can run in parallel to a default of five tasks. If you find yourself needing to change this limit, you can do so with the following steps. 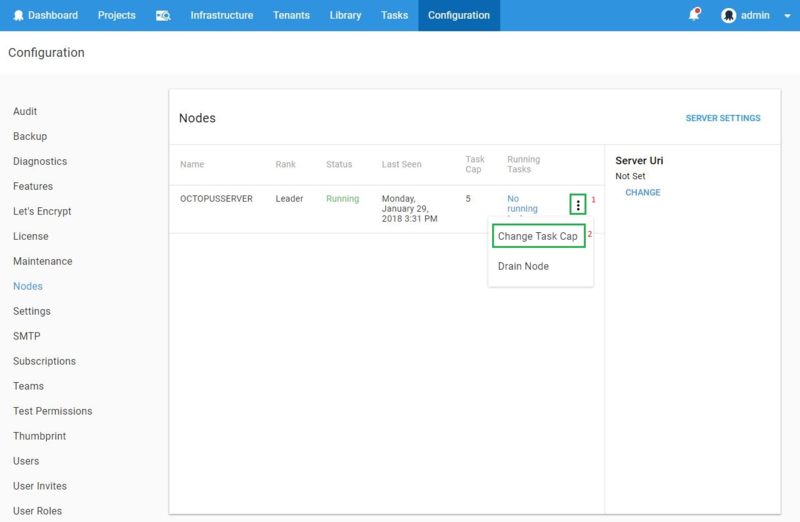 Under Configuration -> Nodes Select your Octopus Node. Select the ... overflow menu. 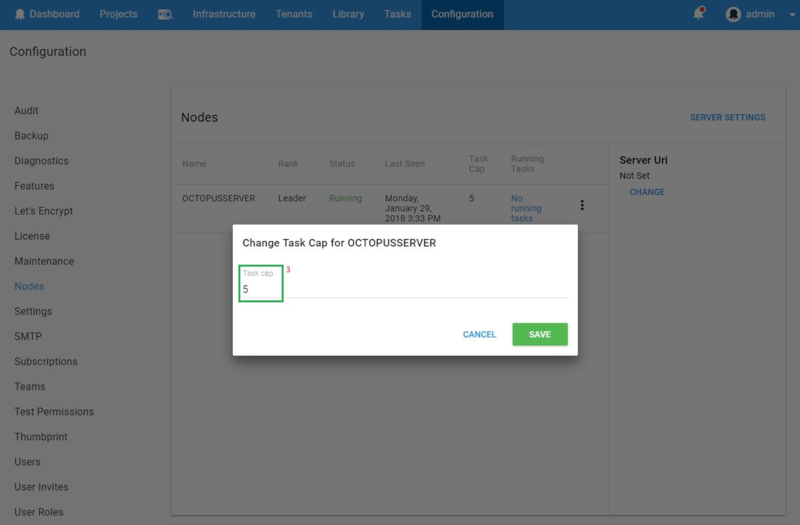 Increasing the task cap will increase the maximum number of tasks the Octopus Server can run simultaneously. This should be increased with caution, as Octopus will require more system resources to handle the increased limit.